16 May 2018 --- The Center for Science in the Public Interest (CSPI) is urging consumers to avoid supplements made with ginkgo biloba, which they claim can be adulterated. They propose that the supplement is ineffective in improving memory and circulation. The agency has compiled a letter to the FDA’s Office of Dietary Supplement Programs requesting warning labels on ginkgo packages. Ginkgo biloba’s benefits are often cited as including improved cognitive function, positive mood, increased energy and improved memory. For example, NutritionInsight recently reported on a plant-based formula called WakeUp, which included ginkgo biloba extract. The leaves from the ginkgo trees are very pricey, and a large quantity is needed to produce a sufficient extract. 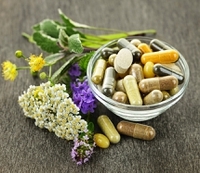 CSPI use examples of some manufacturers using buckwheat extract or other plant extracts which contain a chemical that can fool some tests for ginkgo, to augment or replace more-expensive ginkgo, according to the ABC. “Industry experts agree that the adulteration of ginkgo extracts is intentional,” says Stefan Gafner, the council’s chief science officer, in a monograph on ginkgo. In December, CSPI urged the FDA and the Federal Trade Commission to take enforcement action against companies claiming that their dietary supplements can help ease the symptoms of withdrawal from opioid pain medication. In January, the FDA and the FTC notified 12 companies that they must stop making those kinds of treatment claims. NutritionInsight has reached out to CSPI and ConsumerLab.com for further comments on the issue. Products making false health claims are a blight on the food industry, consumers and of course, manufactures. In a bid to address ingredient adulteration and transparency issues on the botanical market that can erode consumer trust, supplier of clinically researched botanical ingredients Gencor initiated a range of new partnerships. Its goal is to provide ease of mind to brand manufacturers and access to thoroughly vetted partners backed by in-depth quality assurance documentation. However, the process against adulteration on the market is on-going.